SAN DIEGO, CA – October 5, 2011 – NBC 7 San Diego today announced that four new reporters – Chris Chan, Diana Guevara, Nicole Gonzales and Lea Sutton – have joined its news team. Chris Chan, a graduate of the University of Southern California, began his career at CNBC Asia as a producer covering the Asian Financial Crisis. He also worked for Etrade in San Francisco, helping to start the company’s financial news network. Chris brings his business and financial focus to NBC 7 San Diego as a General Assignment Reporter. Diana Guevara joins as a Reporter with a special concentration on the border and issues affecting San Diego’s Hispanic community. Bilingual in English and Spanish, Guevara previously hosted “Shades of San Diego,” a semi-monthly half hour multi-cultural public affairs program on San Diego’s Cox Channel 4. A first generation Mexican-American, Guevara is the daughter of former migrant field workers and the youngest of four children. Diana’s father went on to join the U.S. Air Force and become an engineer for NASA’s Space Shuttle program. Also new to NBC 7 San Diego, Nicole Gonzales comes from KCBS/KCAL in Los Angeles. Before that she worked at KSL-TV, the NBC affiliate in Salt Lake City, where she won a Society of Professional Journalists Award for “Best Consumer Report.” A graduate of the University of Southern California, Gonzales also worked at KTLA-TV, the CW affiliate in Los Angeles, where she was a Traffic Reporter. A former Navy fighter pilot who flew F/A-18’s in Iraq and Afghanistan, Lea Sutton brings a unique perspective to her new role as San Diego’s only television reporter devoted solely to military issues. 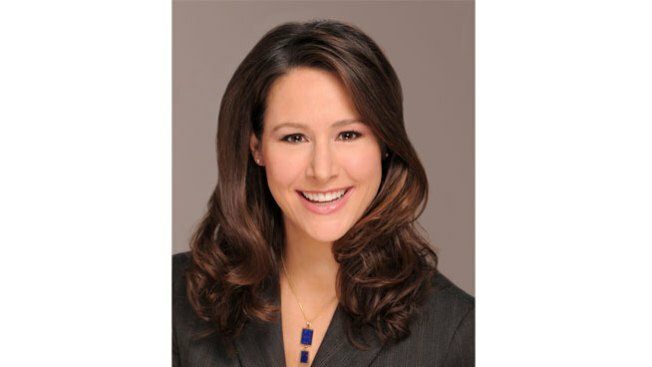 Sutton joins NBC 7 San Diego from the NBC News Washington Bureau where she worked as Multi-Media Journalist for NBC News in Washington D.C. Before that, Sutton worked as a U.S. Navy Intelligence Operations Officer. Embedded with a Navy SEAL unit during Operation Enduring Freedom, Sutton conducted international intelligence operations in Afghanistan. Celebrating nearly 50 years of dedicated news service, NBC 7 San Diego is the only network owned television station in San Diego. It is also the only station in San Diego to broadcast from the heart of downtown at 225 Broadway. Producing over 25 hours of award-winning local news and information each week, NBC 7 San Diego is committed to keeping the community connected to what’s current, whether on-air or online at NBCSanDiego.com. And with the creation of unique and engaging digital franchises like Sound Diego and The GOODS along with digital channel, NBC California Nonstop, NBC 7 San Diego keeps locals on top of it all. Passionately supportive of the community it serves, NBC 7 San Diego also partners year-round with local organizations and campaigns to give back. NBC Owned Television Stations is the division of NBC Universal that includes 10 local television stations and their digital channels and websites, as well as a group of out-of-home properties and a production company. The 10 stations produce and deliver compelling and unique local news, information and entertainment programming to viewers in the communities they serve, which include New York, Los Angeles, Chicago, Philadelphia, San Francisco Bay Area, Dallas-Fort Worth, Washington, D.C., Miami, San Diego and Connecticut, with a goal of connecting to their audiences anytime and anywhere.